Lucas Mackenzie has got the best job of any 10-year-old boy. He travels from city to city as part of the London Midnight Ghost Show, scaring unsuspecting show-goers year round. Performing comes naturally to Lucas and the rest of the troupe, who've been doing it for as long as Lucas can remember. But there's something Lucas doesn't know. Like the rest of Lucas's friends, he's dead. And for some reason, Lucas can't remember his former life, his parents, or friends. Did he go to school? Have a dog? Brothers and sisters? If only he could recall his former life, maybe even reach out to his parents, haunt them. When a ghost hunter determines to shut the show down, Lucas realizes the life he has might soon be over. And without a connection to his family, he will have nothing. There's little time, and Lucas has much to do. Keep the lights on! 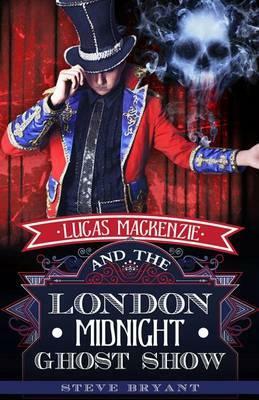 Lucas Mackenzie's coming to town. Steve Bryant is a new novelist, but a veteran author of books of card tricks. He founded a monthly internet magazine for magicians containing news, reviews, magic tricks, humor, and fiction, and he frequently contributes biographical cover articles to the country's two leading magic journals. He lives in Bloomington, Indiana.